Our teens and adults are able to shake off the stress of the day and train in a friendly and welcoming environment. No matter your age or ability, we will help you to achieve your goals. We believe in continuous and never-ending improvement. We all began as White Belts too, and are excited to teach you what we have learned. Stay prepared for any threat life might throw your way. Our Self Defense Classes can help men and women of all ages and abilities thrive with hands-on Combat Hapkido instruction. Have a kickin’ birthday party with United Sports Tae Kwon Do. Cut your cake with a real sword (we help from our instructors) and break a board in front of all your friends. We will make your son or daughter a super-hero / Ninja on their special day! “More Than Just Fitness” means that while we teach martial arts, what students achieve includes: Greater Focus, Self-Discipline, and more Confidence! Our goal each and every class, is to help every student to become the best version of themselves. Our coaches are trained and certified by the leading sanctioning bodies in Tae Kwon Do and our curriculum is recognized internationally. This means your training, and your Black Belt will be recognized world-wide, for life. There are many reasons you may be considering martial arts for you or your child. Here are some common motivators. Click for more information (Goes to another page when they click). Click a Martial Arts Benefit below to learn more! Scroll down to learn about our programs for kids and adults. Read what students and parents have to say about United Sports Tae Kwon Do in online reviews. Great team of people dedicated to seeing kids develop well and succeed. Myself and my children take Tae Kwon Do class with Master Fox and Master T. I love this group! The World Taekwondo Headquarters in Seoul, South Korea. 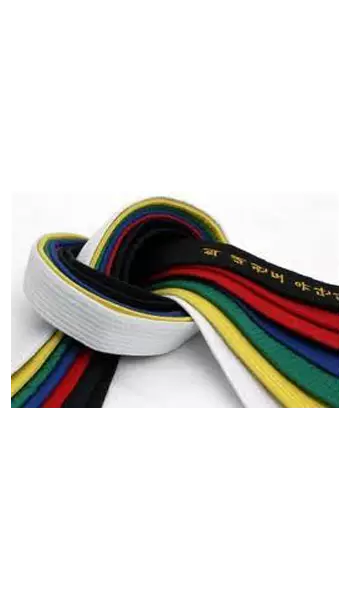 Our Taekwondo training is certified through the Kukkiwon, giving our Black Belt recipients international recognition for the life of the student. The US Olympic Committee’s National Governing Body for Taekwondo. Our school is an official club and our students compete in their State and National Championships. The international governing body of Taekwondo. World Taekwondo is a member of the Association of Summer Olympic International Federations and maintains the highest standards of the sport worldwide. The international governing body of Combat Hapkido and self-defense worldwide. The ICHF maintains the standards of self-defense training worldwide.